Advent is a good time to fast voluntarily in preparation to celebrate the greatest birthday of the year, that of our Lord Jesus Christ. The early Christians observed more than one fast in the year. Both the east and the west observe the fast of Lent before Easter. Fasting during Advent has been reduced in the west, whereas it retains its ancient vigor in the east. 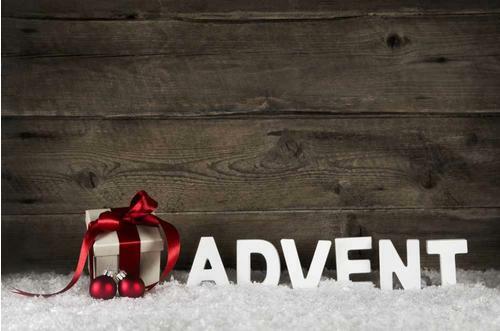 Advent consists of up to four weeks prior to Christmas, beginning four Sundays before Christmas. This year (2016) Advent is four complete weeks. Five fast days are still of obligation. First the Vigil of the Immaculate Conception (December 7) is a day of fast and partial abstinence. The third week of Advent is the Ember week with the customary fasting on Wednesday, Friday and Saturday with partial abstinence on the Wednesday and Saturday and the customary complete abstinence on Fridays. Finally the Vigil of Christmas (December 24) is a day of fast and complete abstinence. “The holy Fathers teach that our first combat should be with the vice of gluttony, which is called gastrimargia by the Greeks. For in vain do we rise up against the others until this is eliminated, which supplies nutriment to the rest.” 1 This is why we fast. The church requires certain fasts, but we should exceed the weak laws of today on occasion. In fact, many teach that we cannot overcome lust until we first overcome gluttony. Let us consider, that the first sin was a sin of gluttony, eating the forbidden fruit. The rule is simple, we should eat to live, not live to eat. And yet how much are we told the opposite today by the world? Saint Ambrose says: “Fasting is a good sauce for meat.” By abstaining, when we do finally come to the feast, we enjoy the meal much more. Consider the person, who eats ice cream daily. Soon he finds that ice cream doesn't mean much to him. However, take it away for a month, he will relish his first bowl upon return. If we read the Scriptures, fasting was a common part of life for the Chosen People of both testaments. The Apostles were chided for not fasting, and we read Jesus' response above. On the feast of the Ascension the Bridegroom left and we returned to fasting. Jesus wants us to do penance. He sent His mother ninety-nine years ago to ask for two things: prayer and penance. Advent is a good time to bring Jesus these two presents He so earnestly desires of us for our own salvation and that of the whole world. Let us make this Advent where we bring our hearts closer to the Sacred Heart of Jesus.